Located in a remote area of Arkansas, Beckham Creek Cave Lodge was originally built as a bomb shelter, but has been renovated into a luxury hotel. It can accommodate up to 8 guests in a subterranean maze of stalagmites and stalactites, its own waterfall and even a helipad outside for those who need to arrive in a hurry. Located in a remote area of Arkansas, Beckham Creek Cave Lodge was originally built as a bomb shelter, but has been renovated into a luxury hotel. Animals are the master of blending into their environment and being stealthy. After all, it's a requirement to stay alive, even for predators. But what happens when nature takes a turn and tosses in a few genetic mutations? Animals are the master of blending into their environment and being stealthy. After all, it's a requirement to stay alive, even for predators. Food just tastes better when it's brought to you in an interesting way. These places totally get it. Let's take a look inside the Fulton Cold Storage in Chicago. There are glaciers, icebergs and other unique ice formations which grew over 13 years on the decommissioned freezer floor. Photos by Robert Jensen. 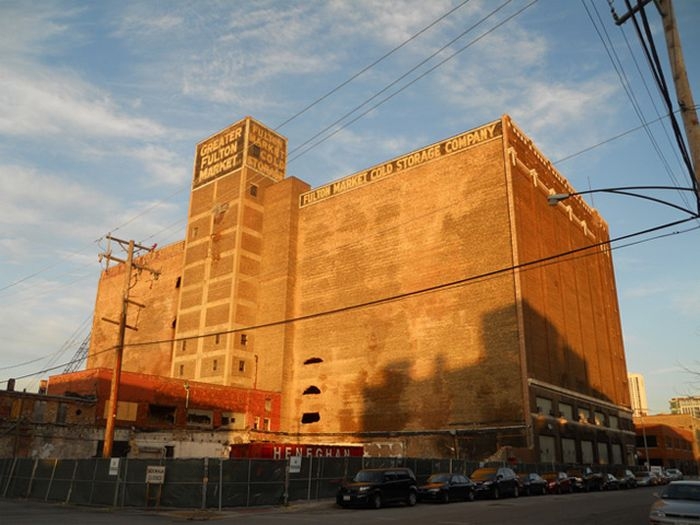 Let's take a look inside the Fulton Cold Storage in Chicago. There are glaciers, icebergs and other unique ice formations which grew over 13 years on the decommissioned freezer floor.